The Nashville Predators have signed defenseman Mattias Ekholm to a six-year deal worth $22.5 million, team president of hockey operations and general manager David Poile confirmed Monday. The 25-year-old Ekholm from Borlange, Sweden was the Predators’ fourth round pick in the 2009 draft and so far has three points (1 goal and 2 assists) in eight games in the 2015-2016 NHL Season. For his career, the five-year defenseman has 30 points (9 goals and 21 assists) in 153 regular season games and 1 goal in six postseason games. 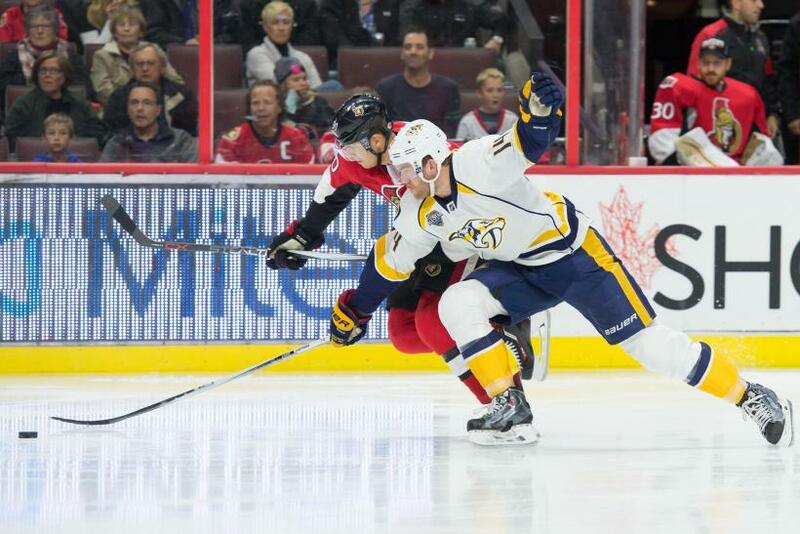 Ekholm has helped the Predators off a good start in this regular season as Nashville carries a 6-2 win-loss record through Tuesday, good for second place in the Central Division of the Western Conference. Ekholm is also a member of the Swedish ice hockey national team, playing for his country in the last two World Championships. Sweden won the bronze medals in 2014 World Championships in Belarus and the 2010 World Junior Championships in Canada. Nashville is one of the top defensive teams in the NHL allowing just 2 goals per game in the early part of the 2015 regular season.